With summer upon us, it’s time to throw out some ideas for things you can do with the missus or the little ones. Here are some treasured Sip Advisor summer activities! The whole experience might as well be called, “How to Gorge Yourself on Snacks in a Few Hours,” but that’s all part of the fun. 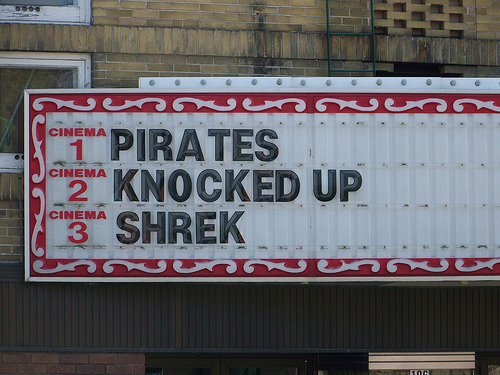 Our local drive-in presents two or three movies each night for the low price of $12.50! Because you’re in your own car, you can chat with your car mates without being shushed by other moviegoers and can even get a little naughty with your best gal, should the inspiration arise. That’s one hell of a line-up! I’ve been lucky enough to grow up my entire life with a pool in the backyard, first an above-ground tank and later an in-ground swimming hole. It’s hard to see my life without easy access to water and a place to hang out with drinks, sun, and fun. Over the years, the pool has been home to some crazy behavior, such as backyard wrestling, balcony jumps and skinny dipping! After a day in the cement pond, we’ll often light up the fire pit at the Sip Advisor headquarters, where roasting marshmallows and building smores are the first order of business. Talk around the campfire is always entertaining, especially when one member of the Sip Alliance can’t control an Irish accent he’s never exhibited before and it only comes out when he’s tanked! 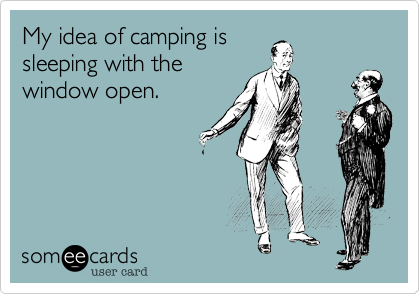 Ah, the great outdoors… where people stupidly risk the elements for the sake of “getting back to nature”. I’m just thankful that I’m a dude and I can pee wherever I want, while the ladies always have to have good facilities within walking distance. Food while camping is certainly a highlight of the entire experience, with so much junk that it would make any healthy person question the entire practice. While I prefer other sports more, the ‘boys of summer’ experience is one not to be missed. It’s a great night out to hit the diamond and support your local team, whether professional, amateur, or beer league. The snacks and beer at a baseball game often overtake the actual sport itself in attention spent, but sometimes you get that special experience where your team ties the game late and wins in extra innings prior to a fireworks show (true story!). Very few things are as relaxing and peaceful as a picnic in the park. Just throw your blanket down wherever you’re comfortable and lay out, enjoying a spread of sandwiches, salads, chips, cookies, and wine or beer if you can sneak your sips in. You can even combine your meal with a rollerblade, bike ride, or top it all off with some playground activity! While those are my favourite activities, there are a number of things I’d like to try again from the days of summer past, like busting out the ol’ slip and slide and getting soap in my eyes or a concussion from smacking noggins with another slider. Good… no, scratch that… GREAT times! 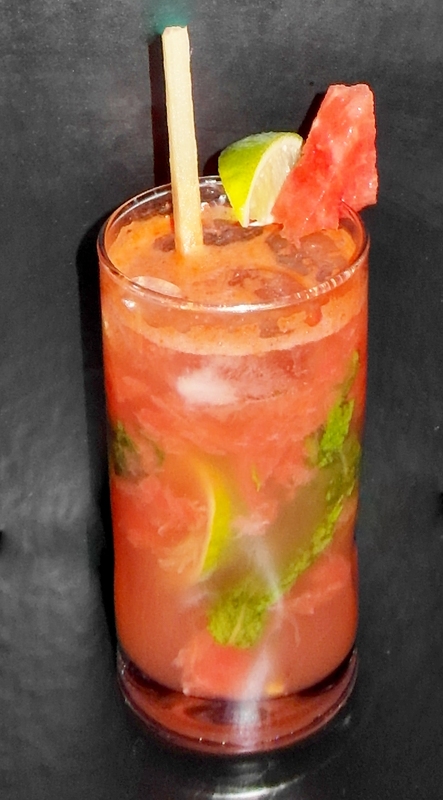 I love Watermelon and I love Mojitos, so put the two together and you have a winning combination. I subbed Appleton Rum in for White Rum and it was a perfect choice given Watermelon’s light taste. This entry was posted in Crazy & Classic Cocktails and tagged Appleton Rum, baseball game, camping, cocktail, drive-in movie, fire pit, lemon-lime soda, lime, lime wedge, Mint, muddled, picnic in the park, slip n’ slide, Sugar Cane Stir Stick, summer activities, swimming, Watermelon Cube, Watermelon Mojito by Daniel Wilson. Bookmark the permalink.